Wedding, being an important family- affair needs meticulous planning and better arrangements well in advance. The couples and their family needs to plan well to ease out their burden during the wedding celebrations. People start Wedding Preparation long before the date of wedding so that they donot have to face problems on the D-day. 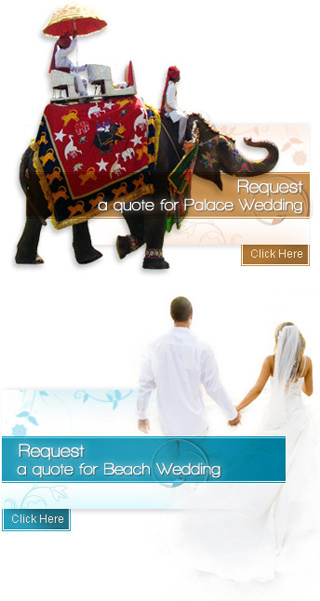 These preparations are essential to ensure a hassle free wedding. Once you have prepared well you can enjoy the weddings to the fullest. Weddings are special and auspicious occasions. Each one of us wants to have a wedding that will be remembered for years to come. However, this is only possible if all the preparations for the wedding are perfect. There is a huge amount of planning needed in order to achieve this. Right from choosing the perfect venue for the wedding to inviting guests there is a lot that goes into a wedding. It does not matter what type of wedding you have decided to have, Wedding Preparations for all the weddings are basic necessities. There are several Wedding Preparations that need to be taken care of irrespective of the variations in the rituals or the traditions that will be followed for the wedding. The Wedding Preparations for most Indian Weddings include deciding the venue, booking the caterer, florist, preparing a wedding budget, getting invitation cards made, selecting the music, gifts, and shopping amongst many others. Getting all these things in place is not an easy job and can prove to be very hectic. We are here to ensure that you have a hassle free experience. We readily make all the arrangements that might be needed for a grand wedding celebration. Apart from the Wedding Preparations, we also make all sorts of other arrangements which include accommodation for guests, arrangements for ceremonies before the wedding and post wedding ceremonies. You could avail of our facilities and services that ensure that you have a wonderful wedding and a memorable experience. We also make preparations for ceremonies like the mehendi ceremony, sangeet ceremony, and many more. Apart from this, all the Wedding Preparations are made, keeping in mind the type of wedding that you are having. The traditions and rituals that will be followed during the wedding ceremony are also given due consideration.